Are you looking for more expert advice, a bit more entertainment, or maybe the ability to get your family history fix on the go? Check out family history sleuth, author, speaker, genealogist, podcast host, tech & search-guru (did I miss anything) Lisa Louise Cooke and her website genealogygems.tv. When Lisa's not on the road teaching at seminars (and even when she is), she hosts a podcast about every 2 weeks call the Genealogy Gems Podcast. Here she updates listeners on the recent news and happenings in the world of genealogy, answers your questions, passes on helpful tips, and talks with other industry leaders. For those of you who don't know what a podcast is, think a pre-recorded radio broadcast that you can download and listen to at your own convenience on either your computer or your iPod/mp3 player. The show is available FREE from the iTunes store (under podcasts) or via her website where you can download the files directly or listen directly in the web browser. Speaking of your web browser, I highly recommend the Genealogy Gems Toolbar. The toolbar can play (stream) the Genealogy Gems podcasts directly while you surf the web and provides a bunch of hand-picked genealogy links as well as keeping you up to date with the show. Want more? Lisa's completed another podcast series for beginners titled "Family History Made Easy" and also hosts a postcast for Family Tree Magazine, both are great resources and are available on iTunes. So take a listen, and I hope you like what you hear. Lisa's the best in the business and it shows. She also makes my morning commute to work fly by! Thomas D Warner was born on 19 Jun 1814 in Sunbury, Northumberland, Pennsylvania. Currently his parents and siblings are unknown even though there were multiple Warner families from Northumberland County (Birth date was obtained by counting backwards using information provided by the headstone at his gravesite). Christina Anna Henninger was born on 06 Mar 1815 in Northumberland County, Pennsylvania to parents Phillip Henninger and Magdalena Dunkelberger. Christina Henninger and her family moved from Pennsylvania to Wayne County, Ohio sometime between 1820 and 1830. Thomas Warner married Christina Henninger on 13 Feb 1840 in Wayne County, Ohio. The new couple lived in Green Township, Wayne, Ohio in 1840 as neighbors of Christina's father Phillip & brother Jacob Henninger's families. The origins and lives of Rufus and Sarah Dodge probably make them the one of the most mysterious, confusing, and intriguing couples in my family tree. They have definitely caused me the most grief in my digging. Lawrence Winkler was born on 15 Jan 1771 to who is believed to be Hans Jacob Winkler. It is most likely he was born in Morganton, Burke, North Carolina or Rhine River area of Prussia , however, is not known for certain if this is true. It is also believed he had 3 brothers, Joseph, Conrad, and Thomas who also lived in Morganton but a direct and definitive relation other than the Winkler name has yet to be discovered. Frances Paine was born to George & Elizabeth "Lizzie" Paine of Spotsylvania County, Virginia about 1775 (date and location unknown). Lawrence Winkler married Frances "Fannie" Paine in 1795. A belief is that Fannie was from New Jersey and this is also where the marriage is said to have taken place, but there is no proof of this and it is more believable that they married in Burke County instead. Backing up the belief that Lawrence and Fannie's marriage in North Carolina is that Fannie's parents are know to have relocated from Spotsylvania County, VA to Burke County, NC by 1790. Lawrence and Fannie started their family in Burke, North Carolina where Fannie gave birth to their first child, daughter Rebecca, in 1797, followed by sons John, George, and James. In 1806, being opposed to slavery, Lawrence decided to leave Burke, North Carolina and seek home in one of the free states, with the intention of settling in Stubenville, OH with relatives (3 years after Ohio receives statehood). However, the family had to halt relocation in the middle of what is now Monongalia County, West Virginia, (it was still a part of Virginia at the time) because of sickness. 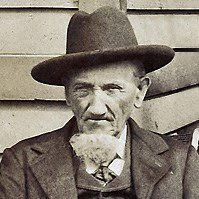 Jacob D. Winkler was born on 06 Mar 1815 in what was then known as East Union, Wayne, Ohio to parents Lawrence and Fannie Winkler. Jacob has the distinction of being the first Winkler born in the area known as Green Township, but it wouldn’t officially be organized as such until 5 Feb 1817. 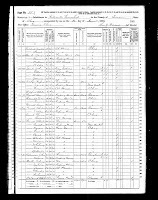 Barbara Ann Alleman was born on 28 Dec 1820 in Middletown, Dauphin, Pennsylvania to parents Christian Alleman and Sarah Heppick. At some point over before 1833, the Alleman family decided to migrate from Dauphin County, Pennsylvania to Wayne County, Ohio (son Christian is married in Wayne County in 1833). On 13 Jun 1839 in Wooster, Wayne, Ohio, Jacob Winkler married Barbara Ann Alleman. They started their life together in Wayne Township where Jacob was working as a farmer. They had 5 sons and 4 daughters. Jacob lived Next door to his mother Fanny & sister Mary, and brother Enoch & wife Rachel. By 1860 the real & personal estates they had amassed were valued at $300 and $500 respectively. DIG: How Do You Spell That? In an ideal world, everything you find would be accurate, but as genealogists, we know better (or should anyways). Census takers were not always accurate in writing their information and neither were the sources they got it from. It seems no one really emphasized "correct" spellings on names until the birth of social security and personal IDs in the 1930's. Prior to that, if it sounded right, it was right! I mean, if you couldn't read or write (or had a very limited education), how would you know the difference as long as they could pronounce it properly? My ancestor Lawrence Winkler is a great example of this. 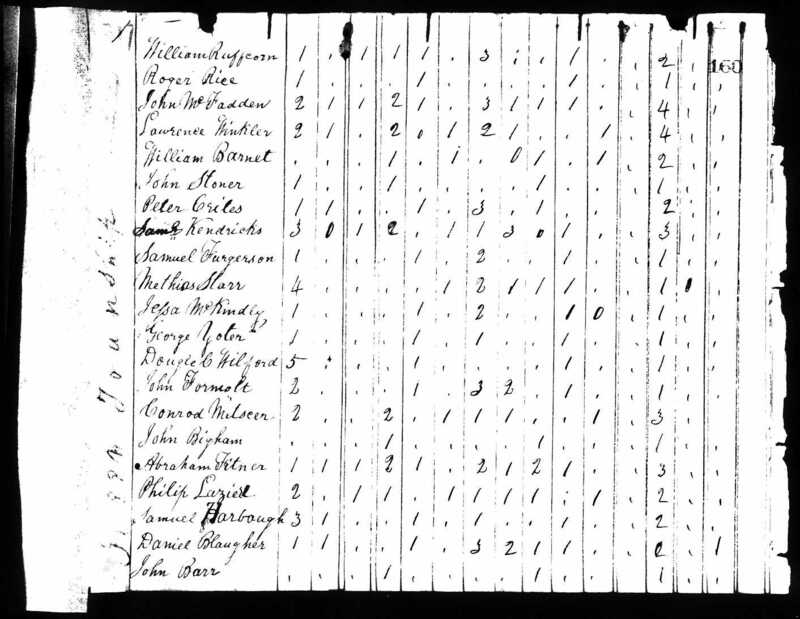 In the early 1800's he was listed under the name "Lawrance", "Lowrance" and my favorite, an 1819 township census lists him as "Loranc Winckler" (This person also listed the county Wayne as "Wain" and township as "tounship"). His tombstone even reads "Lawrance" instead of "Lawrence" which is the way it is written on his government land deeds and will. Based on this level of accuracy, you should never take a single record as true and accurate without other records to back it up. If it's a census record, multiple census records make a stronger case but could still be wrong. Try and use vital records or other primary documents for verification. In short, it's a great starting point to lead you to gathering more accurate information. Continuing on from the last post on Norwegian Baptism records, we are locating the marriage record for my great-great grandparents Cornelius Christoffersen (born 1860) and Birthe Marie Andreasen (born 1858). This is not going to be as easy as baptism records. Normally, no information is documented to an exact time or date when the couple was married other than the marriage record itself. So if you're working backwards through your Norwegian ancestry, you're going to have to take some guesses, a few leaps of faith, and spend time virtually flipping pages to get the answer you're looking for (It's not that bad, few churches did more than 10-20 weddings a year). The only real clues we have to go on are the previous baptism record of son Christoffer stating the parents are married, that both parents are from Svelvik & Stromm, and the years they were born. This is crucial information. While it's not accurate 100% of the time, marriages were usually held in the town of the woman's birth (or current residence) and at the time, the only way to get around that was with a royal decree or letter allowing different. With that being said, we can assume that Cornelius and Birth Marie were married some time before she became pregnant with Christoffer in 1889, yet at least 18 years after she was born in 1858 and that the marriage was in her hometown of Svelvik / Stromm. In this case I'd assume 20 years since Cornelius was 2 years younger than she was. Norwegian parish registers, or Kirkebøker, are some of the best sources to trace back your roots in Norway. The best place to start is with a baptism record. 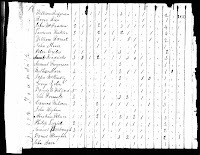 Prior to 1812, there was no set layout for parish registers and so the look and information in them varied from priest to priest (as did quality and penmanship). By 1820 there was a standard set of column headings that were seen across the board on parish registers and while there may be slight adjustments to the exact wording, every book between 1820 and 1876 would follow the same headings (see 1820-1876 headings here). The parish registers would be further expanded on in 1877 to include a bit more information and see a few more adjustments made to the required information (see 1877+ headings here). So, let's getting started and find my great grandfather Christoffer Christoffersen. Based on prior research, I've found contradicting information. I have a death record stating he was born in Norway in 21 Nov 1890 to parents Cornelius Lowe and Marie Johnson. I also have an immigration manifest stating the parents as being Cornelius and Marie Christoffersen. His age is listed as 17 in February of 1907 putting a year of birth at 1889 not 1890 as the death record stated and his place of birth is further expanded upon, the town of Svelvik is listed. Parish records are listed by town so this information is crucial. Looking for records on your Norwegian heritage? 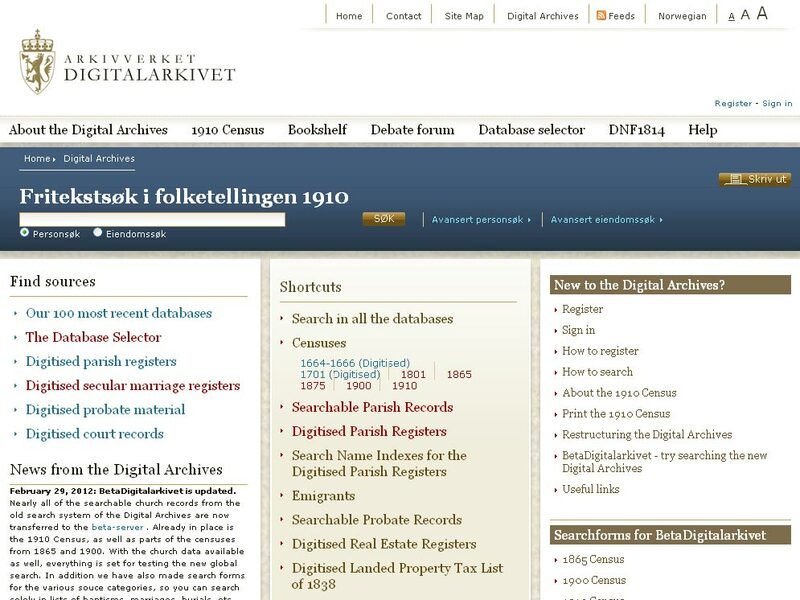 A great site is the Digitalarkivet at the Norway National Archives (http://arkivverket.no/Digitalarkivet). 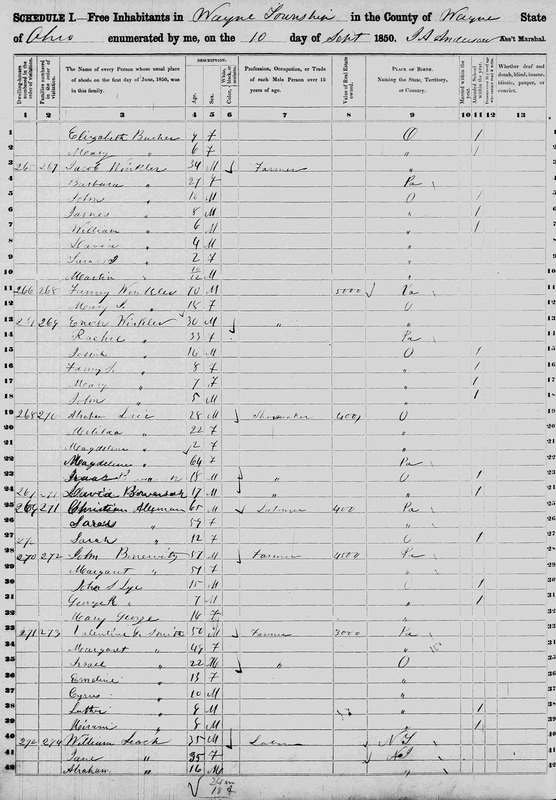 It can take a little getting used to but the archive has a ton of great resources including searchable Norwegian censuses from 1801, 1865, 1875, 1900 and 1910. There are also probate registers, real estate registers and land property tax lists to name a few. You can translate it to English by clicking the English button in the top-right corner. Note: the 1875 census was not national and only enumerated larger cities, so your ancestors may not be listed in it (most of mine weren't). 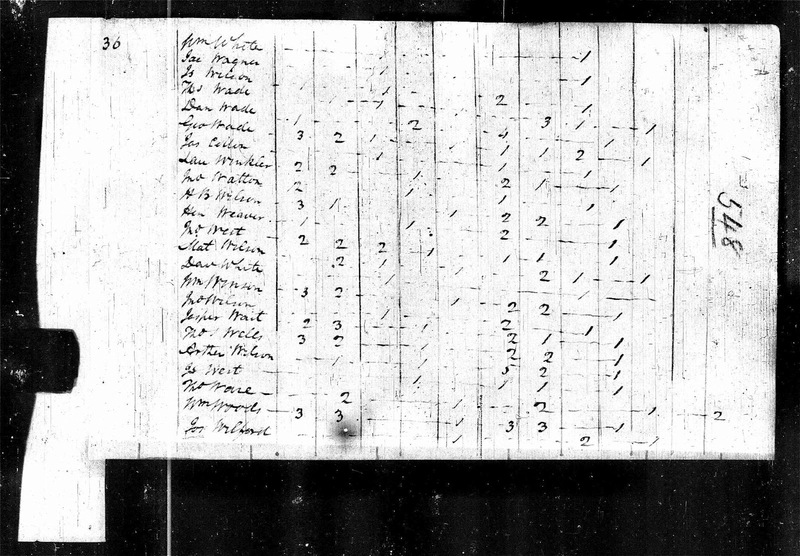 Information gathered in census records can be extremely useful in the next area in the archive. 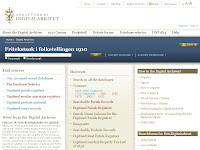 It's the collection of scanned church book or parish record database (http://www.arkivverket.no/URN:kb_read). This is not in English, but I'll walk you through how to make a selection using the form on the left side of the page. DIG: Is that your Middle name? In my research I see initials used for relative's names on a regular basis. 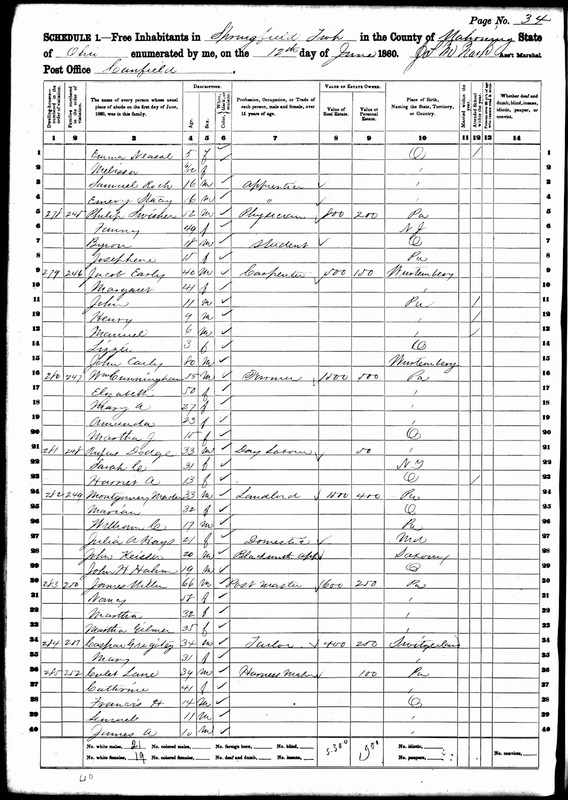 A lot of times the census taker was just being quick or lazy and not taking the time to enter in a full name thinking it wasn't important, but sometimes he or she has taken the time to add in a middle initial to the census record. A lot of times this can lead to a breakthrough and help identify one relative from a group of people by the same name. But it can also be misleading... especially with women. I've seen it over and over again. 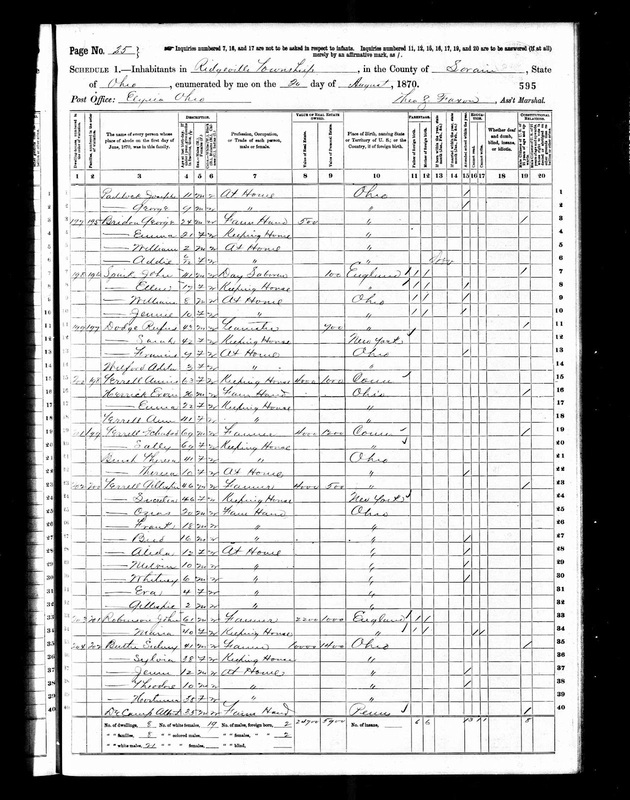 Years of census records are searched where you are following your 3x great grandmother "Maria Simons" through her life. She's with her parents in the 1850's and 60's. Then with her husband and family in the 1870s and 80's under the name "Maria Christian". You find her at the turn of the century listed under the name "Maria S. Christian". OMG a breakthrough! We have a middle initial, right? Well, most likely not. This has happened to me multiple times where I know my ancestor's middle name for certain and I see another initial listed under the middle name.... so what happened? Is the census taker mistaken? Is this the clue we've been looking for? It's a clue alright, but not to a middle name, it's to their MAIDEN name! That's why you may find that the census taker never bothered to record middle initials for the other members of the family and only the matriarch. So if you're stuck tracing a female family member back to before she was married, the census just may provide the clue you need to locate that maiden name.